Guys, this is a momentous occasion. A celebrity couple is approaching their 15th wedding anniversary this year. I don't know if this has ever happened before in human history. Three guesses as to who it is… [just pretend you didn't see the post title, ok? ]…the first two don't count. Will and Jada, of course. I made a plea to this couple in my last celebrity couple assessment, and it looks like they heard me. As a society we've known both Will and Jada for a number of years. 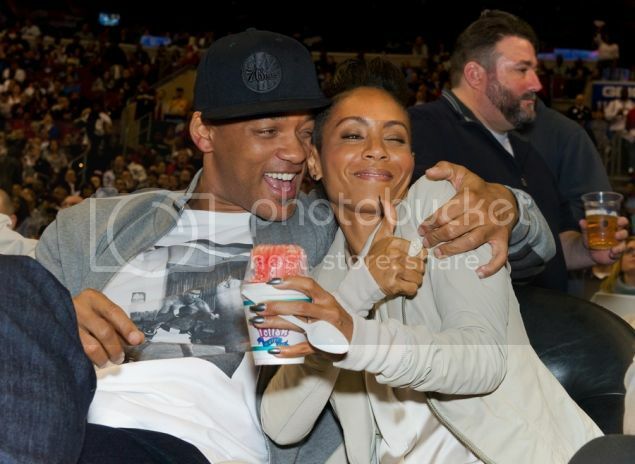 Will, since his days with Aunt Viv and Uncle Phil, and Jada...since she married Will. And that time she was in one of the Matrix movies. We always knew the Fresh Prince would find himself that beautiful honey someday, and he surely did. Never in the tabloids, but always in our hearts, Will and Jada set an example for the rest of the Britneys and Kims in the world who think of marriage as more of a temporary lapse in judgment rather than a lifetime commitment. But you get that, Will-ada. (Can I call you Will-ada?) You know that marriage is not for fools with reality TV shows or anyone named Ashton Kutcher. It's for people who love each other and will raise their kids to be exceedingly awesome, which you have done. You don't expect some lavish celebration each year you stay married. You high five and call each other "homie." And that's enough. You, Will-ada, are our rock. You gracefully elude the limelight, but we always know you're there. Steady and going strong. Without you, we have no hope for any celebrity marriage. So to Will and Jada, who keep the dream alive for people like me who secretly wish all celebrity marriages would last, just to prove the cynics wrong. May you be togetha 4-eva. Here, here! An only-slightly-related yet still important question: What is your favorite Will Smith movie?